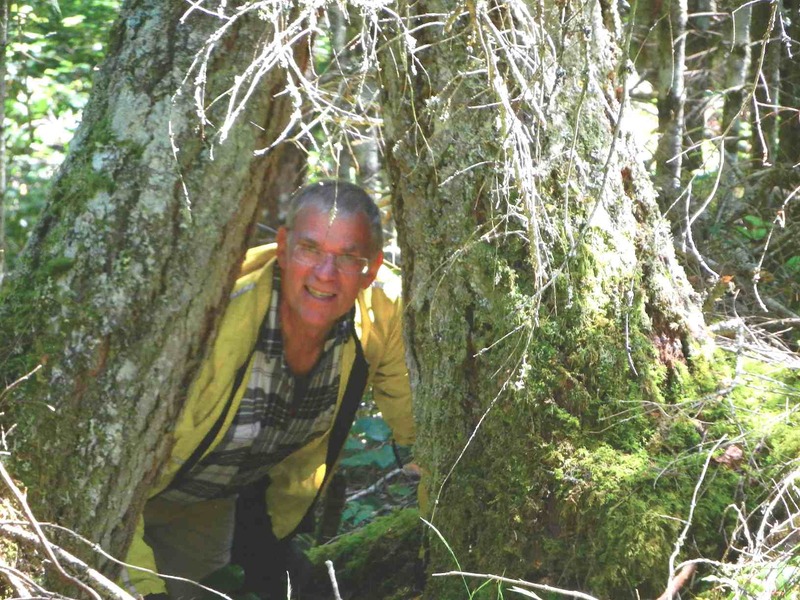 Friends of Ecological Reserves lost a long time stalwart Board member Tom Gillespie late in the fall of 2013 and we continue to appreciate and miss all his volunteer hours. Other Board members are stepping up to fill his shoes. Considering FER has no staff, I am amazed at just how much this organization does to enhance the profile of Ecological Reserves. Thanks to all our supporter and members, to those who volunteer as ER wardens and the Parks Area Supervisors and Conservation Specialist staff whom we interact with to help manage BC’s amazing Ecological Reserves. Here is a short summary of what we deem to be achievements of 2013 and the first few months of 2014. This is followed by some crystal ball/visioning of where FER may head in the up-coming year. What did we focus on in 2013? We completed our first year with the designated provincial Parks volunteer coordinator, Becs Hoskin. We so appreciate this role and how much Becs has done to help FER. We wish her happiness during her maternity leave and look forward to her return. Bec’s position is tangible support from Parks and recognition of the value of volunteers. Becs was also our contract monitor for a grant FER was awarded. More on the details of the Research Legacy project under Strategic Goal 2 (also see separate article on page 3). Garry Fletcher and Marilyn Lambert do double duty as Board members and ER wardens and they attended the Vancouver Island ER wardens spring meeting organized by Erica McClaren, Conservation Specialist, BC Parks West Coast Region, one of several conservation specialists now in Parks. We believe Garry and Marilyn were able to clarify what FER is hoping to achieve and our role with respect to support for wardens. FER’s role is to support ER wardens through input to the ER Wardens Handbook when there are revisions needed. This Handbook is posted on both the FER and Parks websites. FER also helps identify potential new ER warden candidates to Parks Area Supervisors. There are benefits to having multiple wardens for a single ER as more eyes and ears provide better insights. FER continues to struggle to keep the ER wardens list current and remains dependent on Parks staff to inform when there are changes to ER wardens. Wardens names are posted on the FER website but their privacy is maintained as no other contact information is posted. The FER website has a place for ER warden reports and it is hoped that more ER wardens will share their visits and field notes by making these available. Not all ER wardens see the need to share their ER field visits with FER. We hope that over time, all ER wardens will see the benefit of sharing their warden reports and images with FER and the benefits to the Ecological Reserve achieved through reporting and maintaining a transparent public record. FER continues to add existing research papers linked to ERs on our website as they become available. When the ER program disbanded and responsibility was transferred to regional Parks offices, the files for ERs were decentralized out of Victoria. This makes it harder for a provincial organization like FER to know what is being done at the ER level. FER was fortunate to obtain a grant from Parks to complete a pilot project on the Coastal Region, to obtain biological and research information from Parks Regional office files in Nanaimo. This project is nearing completion and we again thank Erica McClaren for her role in helping coordinate this project with Coastal Area Supervisors. From FER’s point of view, this project has been a success on a number of levels. The work was carried out by Mike Fenger and Garry Fletcher and it gave them the opportunity to meet many Area Supervisors and discuss existing data they may have and, in that way, raise the profile of ERs and clarify the support role that FER has to government. It also provided the opportunity to speak to many ER wardens, researchers and to recruit new wardens. We are grateful. Presentations were made at the 4th Bi-annual Parks Research Forum by Mike Fenger and Garry Fletcher (see last Winter LOG 2013). The presentation for FER was prepared by Mike Fenger and Jenny Feick and explained what a new conservation vision for BC would include. We remain concerned that the network of protected areas are not suitably linked and won’t carry BC’s biological diversity through climate change and accelerated development pressures. Our vision included First Nations at the same strategic planning table as others making a living off the same land base, and resource management decisions made at a local level with those who have lived a life time in their local landscapes. This is considered to be the best model for sustaining both local economies and ecosystems. Sadly there is nothing new to report on Marine Protected Areas from last year. The federally lead processes continue to be frustratingly slow. No new marine protected areas have been added to the existing one percent on the west coast of BC even though there has been a decade-long Federal government goal to expand to ten percent. FER was involved with both the Race Rocks and Scott Island consultation processes – both now complete – and we are waiting to hear from the Federal government about their consultation with First Nations. There have been no new terrestrial ERs added to the Ecological Reserves system but Garry Fletcher did make a field trip to the Sunshine coast to look at an ER candidate and we are optimistic that this site will become a new Ecological Reserve some time in the near future. Our most useful asset to help raise awareness of ERs is the re-designed FER website completed in 2011. Garry Fletcher, with his knowledge of outreach for the Race Rocks website, has applied his talent and energy to posting hundreds of new articles to the FER website. The FER website is now becoming a significant resource for researchers and the public with regard to knowledge and baseline information on the 150 ERs in BC. Readers please take a look at the FER website http://ecoreserves.bc.ca/. Changes are being made daily thanks to Garry. He is looking for help from wardens and others to continue to add to this ER resource. We successfully produced two issues of the newsletter the LOG thanks to Louise Beinhauer our LOG editor. We again hosted a public speaker for our annual general meeting and this time we were able to draw from a well-known fossil expert, Dr. Bruce Archibald. FER notes that there are already a few ERs whose primary purpose is to protect fossil sites and our invitation to Dr. Archibald is to begin dialogue on whether more fossil sites are suitable candidates for ER status. We were able to get many FER Board members out in the field and thanks to Stephen Ruttan for his efforts in this regard. Our field trip account to Galiano Island ER was written up in the 2013 Winter Log. Our annual Race Rocks field trip is always popular with members and a source of new memberships as well. See page 6 for the write up about the May 2014 trip. We thank Habitat Acquisition Trust (HATs) for the use of their board room to hold our monthly board meetings. FER remains a small NGO with no regular staff and no office space. Thanks also to the summer west coast beach barbeque hosted again by Garry and Helen Fletcher. Work with BC Parks to continue to increase the number of ER wardens with the goal of having at least one warden in all ERs. We hope that we will get the opportunity to work closely with interior Parks Region Areas Supervisors in the same way afforded to FER by the Coastal ER Legacy Project. We hope to explore more fully, funding opportunities to help wardens training and data collection and to be in a position to help support researchers focused on ERs. FER will continue to encourage regional ER warden and Area Supervisor meetings to build stronger relationships and sort out ER priorities for management and research opportunities. Other activities to be decided (TBD). It takes funds to support researchers and FER hopes to find new sources of funding to enable ER-specific research. Sometime a small amount of funding can make the difference in obtaining new data on an Ecological Reserve. FER hopes to be in a position to offer assistance to those who choose to add to the research legacy of specific ERs. It is hoped that our application for intervenor funding in the National Energy Board Trans Mountain Expansion Project hearings meets with success. We are concerned about the increased risk to the 17 Marine Ecological Reserves along the proposed tanker route and how best to respond to a potential oil spill. There are many quiet donors who have supported FER over the years and we are thankful to them. We especially wish to thank those behind-the- scenes-donors for their faith and continued support. We also need to find new sources of funds to channel to researchers willing to add to field studies to be able to increase understanding of basic ecosystem functions. FER believes it could efficiently allocate funds to ERs if provided resources in the order of $250,000. That kind of funding would enable us to manage appropriate baseline data to under pin an ER’s research. We dream, of course, to be in a position to add data needed for understanding existing ERs and what may be needed to carry the biological legacy into an uncertain future. Others actions to be decided. FER hopes there will again be collaboration with Environmental organizations working on common problems. Maintain the website and add reports and images as these are made available and encourage wider use by wardens and Area Supervisors. FER intends to remain volunteer run and aims to stay at a size that does not require staff. We are so thankful that Liz Williams has joined the FER Board as she brings considerable experience to the table. Continue to plan our field trips to ERs and to have a sense of fun in the course of volunteering. Thanks for your time and support to the members, donors and ER wardens and the Board members.